Nepal Agriculture Research Council (NARC), Biotechnology Unit is organizing ” National Biotechnology Conference 2011″ with theme ” Biological Revolution through Biotech” on 12-13 July 2011 at Khumaltar, Lalitpur, Nepal. You are cordially invited for the participation of the program. This program will be inaugurated by Honorable Minister of Agriculture and Cooperatives, Nepal. The abstract should be within 250 words and the topic should relate to theme of the conference. Similarly, you will be notified about its acceptance. The topic of the article should be purely research based except for status and policy papers. Biodiversity conservation and utilization using biotechnology tools. Breeding and genetics using biotechnology tools. For further information, please contact Raj K. Niroula (rkn27st@yahoo.com) and Resham B. Amgai (reshamamgain@yahoo.com) at Biotechnology Unit (Phone: +977 1 5539658). The discovery of Deoxyribonucleic acid (DNA) is regarded as the milestone in the history of modern biotechnology. World DNA Day is celebrated worldwide on the 25th April to commemorate discovery of double helix structure of DNA by Watson & Crick in 1953. 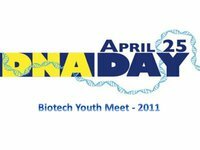 BSN cordially invites all the well-wishers of Biotechnology to attend the program Biotech Youth Meet 2011. 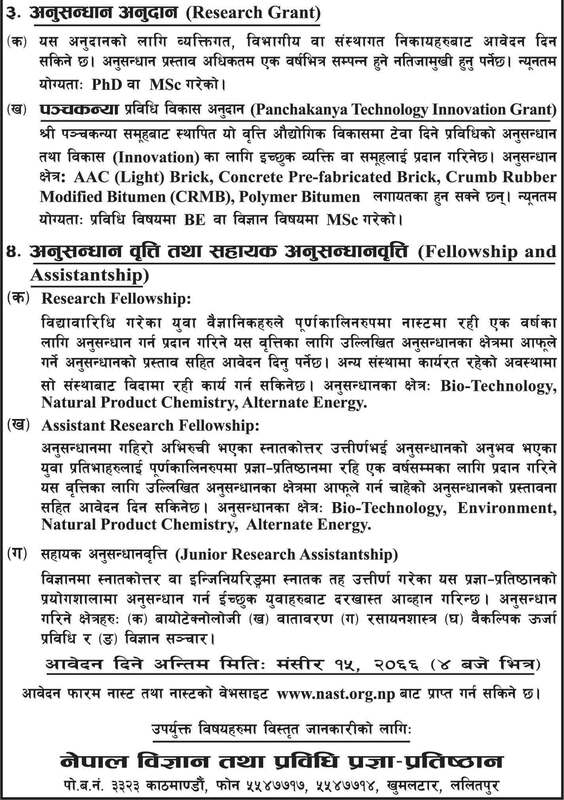 Venue: White House Institute of Science and Technology (WHIST), Khumaltar, Lalitpur. BioMed Central is offering a fund to help researchers in developing countries attend the conference, Parasite to Prevention. The conference, held in conjunction with Malaria Journal, takes place in Edinburgh, 20-22 October. Researchers and graduate students from low-income and lower-middle income countries can apply for a conference bursary to cover the cost of their travel, accommodation and conference registration. Places are strictly limited. The scientific committee will award the conference bursaries based solely on the quality of the abstracts submitted. The deadline to submit an abstract and apply for a bursary place is 6 August 2010. This international conference brings together leading researchers and industry representatives who will review important recent findings in parasite and vector biology, disease pathophysiology and immunology, disease treatment, prevention and control. Attendees will learn about the latest developments in key areas and initiatives that are at the forefront of malaria research. More speakers have now been confirmed for the conference, including Carol Sibley (University of Washington), Andrew Waters (Leiden University) and Tim Wells (Medicines for Malaria Venture). David Brandling-Bennett, Senior Program Manager at the Bill and Melinda Gates Foundation will give a keynote address at the conference gala dinner on Thursday, 21 October. Anyone not from low-income and lower-middle income countries, can still submit an abstract for consideration if you register before 6 August 2010. 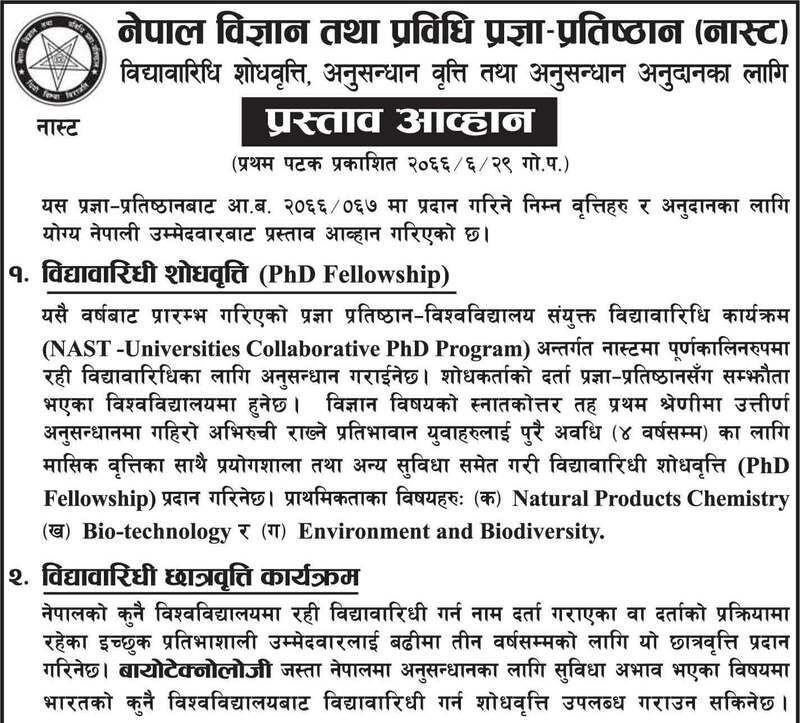 Nepal Academy of Science and Technology (NAST) announces “NAST-Universities Collaborative Ph.D Program”.